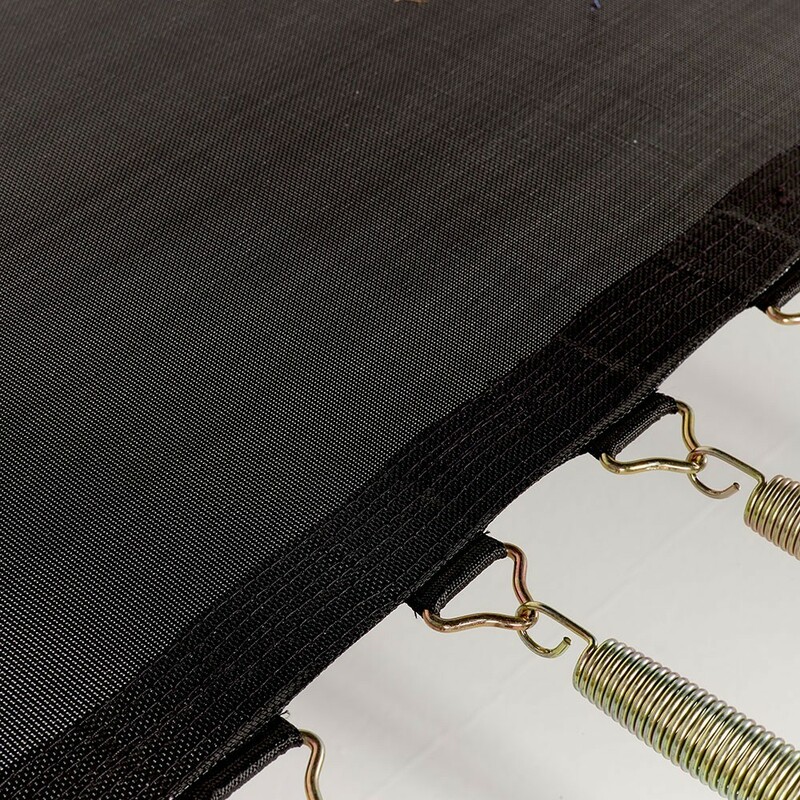 This jumping mat will perfectly replace your old jumping mat on your rectangular 4.24 x 3.06 m trampoline with 92, 210 mm long springs. 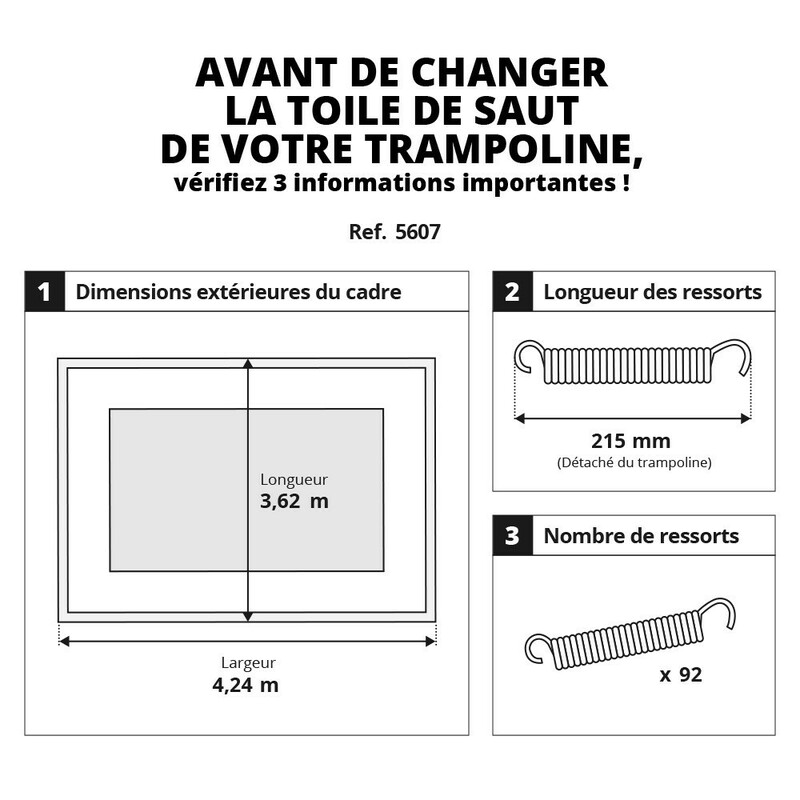 If you did not buy your trampoline with France Trampoline but has the same characteristics then this mat will be fit. 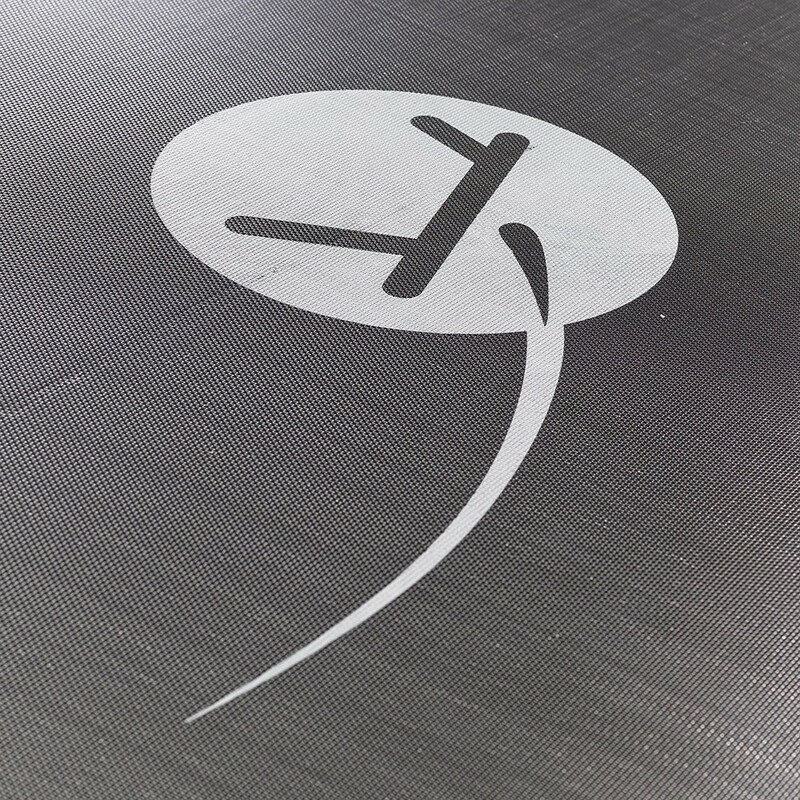 - This jumping mat is compatible with our Apollo Sport 400 trampoline. 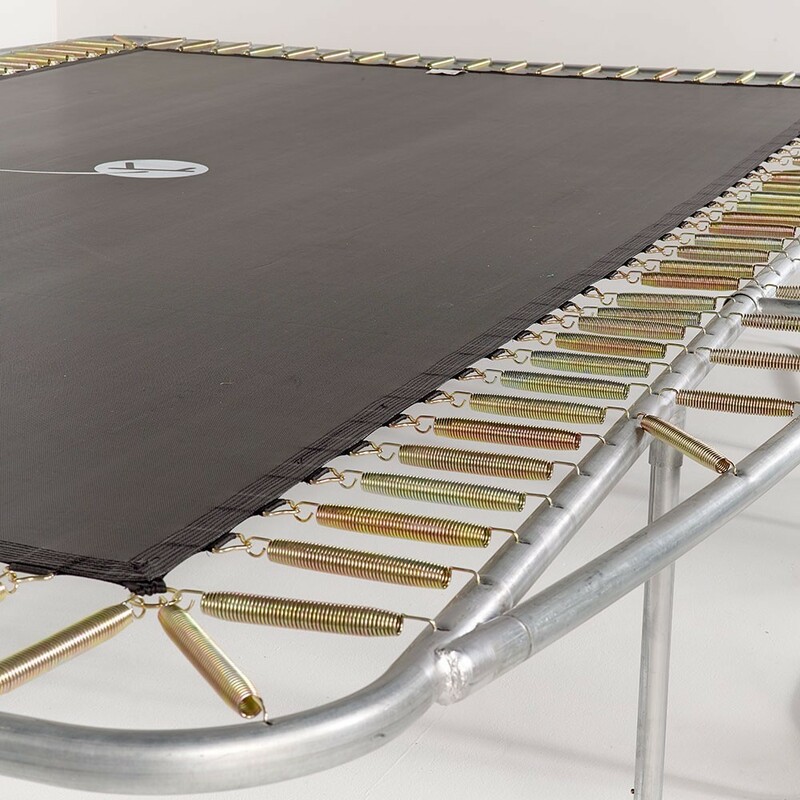 It can also be fitted to all trampolines with the same charactheristcs. 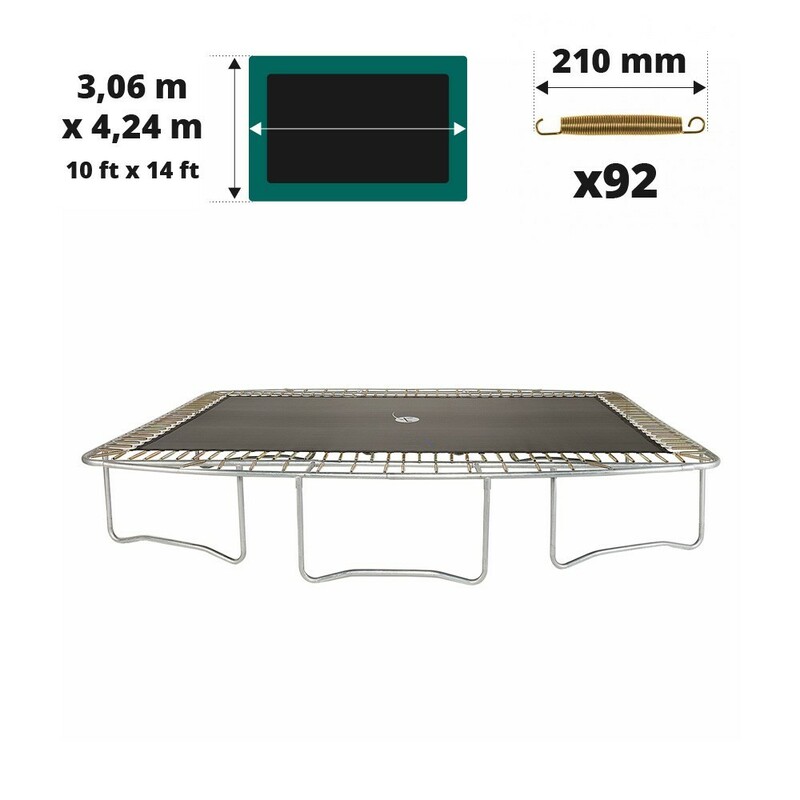 Measure the outer diameter of trampoline precisely before ordering. 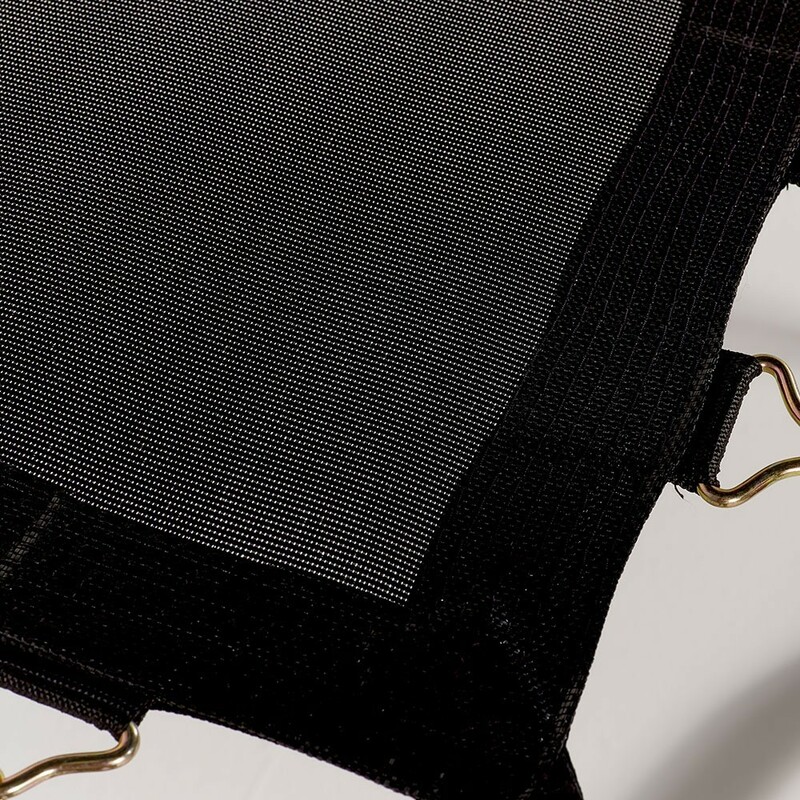 - Made out of black polypropylene, otherwise known as mesh, this jumping mat is very resistant. 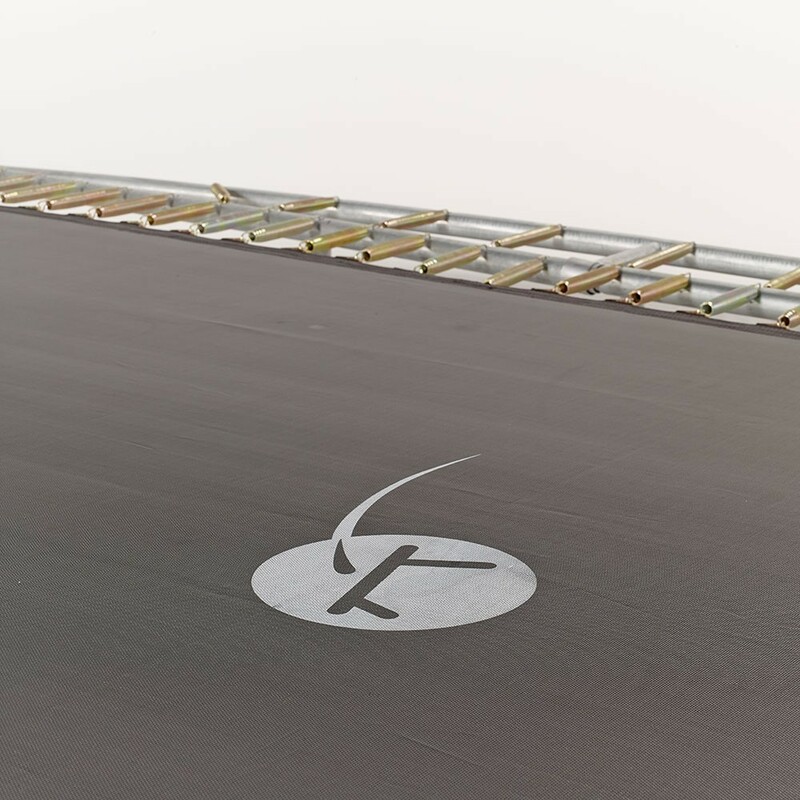 With its UV protective coating, you will no longer worry about leaving your trampoline outside all year long. - 8 rows of stitches and a reinforcement strip will ensure a high level of solidity. 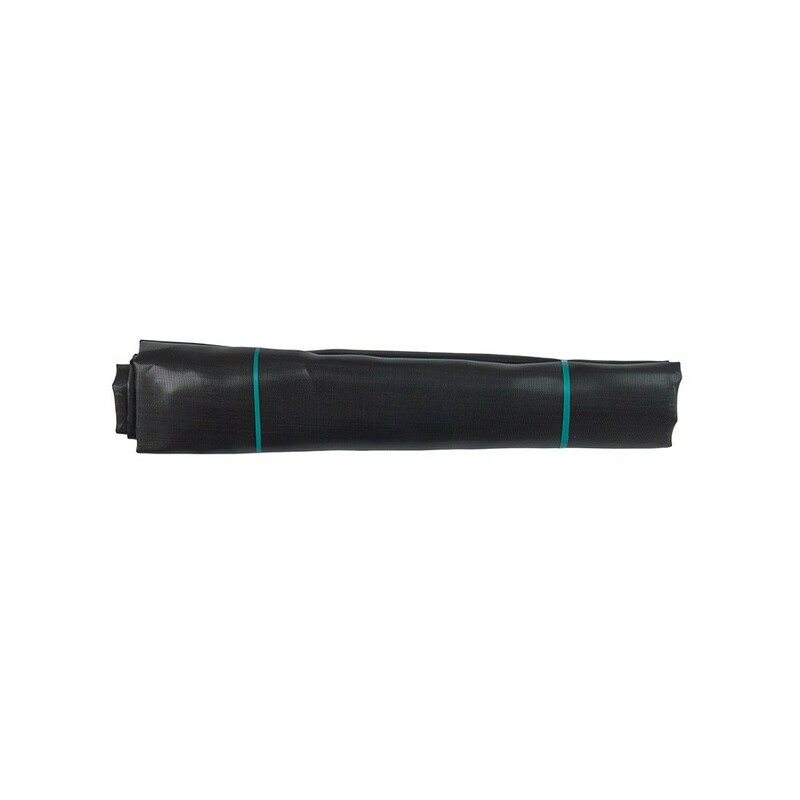 For maximum strength, hot-dip galvanized steel rings, protected against corrosion are used. 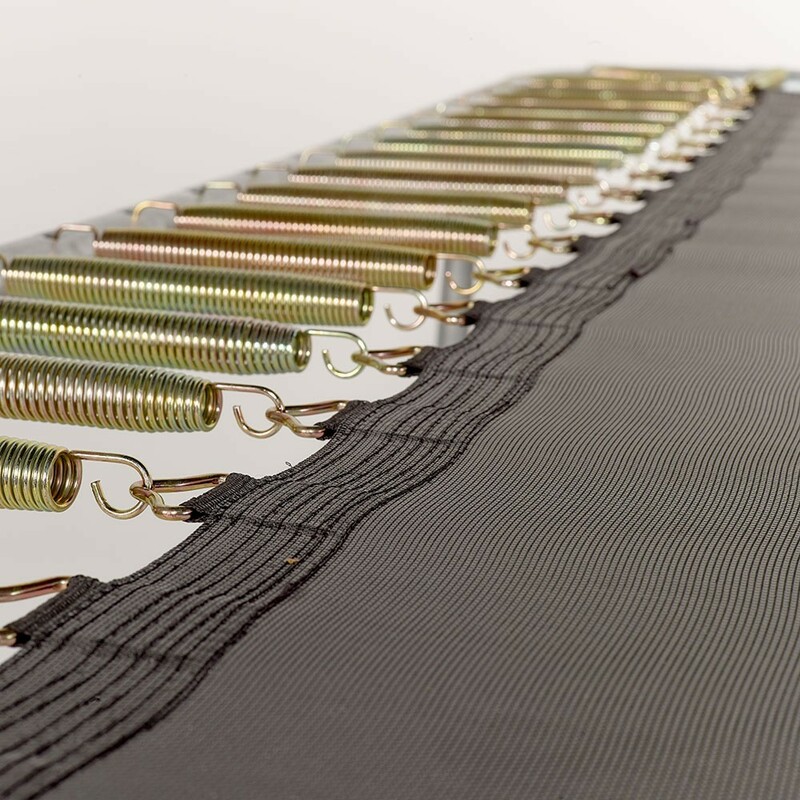 -Before ordering please check the number and length of your springs, as this jumping mat can only be fitted to a trampoline with 92 springs of 210 mm in length. If you do not know the length of your springs, press down on the centre of a coil and lift the hook closest to the framework. Then measure the spring frol hook to hook.